Texas has selected three companies to operate medical cannabis businesses in the state. Each serves as cultivator, processor, and dispensary for those patients in Texas who qualify. Unfortunately, it is unclear if the system will be functional. Only those who suffer from serious seizure conditions may participate, leaving behind a huge number of Texans who could benefit, such as cancer patients, those suffering from PTSD, and many who will otherwise have to rely on opioid-based medicine. Many are concerned that doctors will not participate in significant numbers. 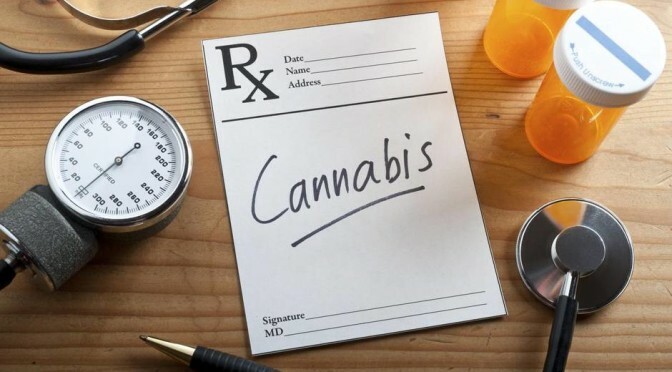 State law requires physicians to write prescriptions for marijuana products, yet prescriptions for cannabis are clearly illegal under federal law, placing doctors at potential risk. So far, few doctors have signed up. Efforts to amend the law to avoid problems for doctors and improve the program in other modest ways have not been successful. After years of promises by some state lawmakers, the state continues to under-deliver for its patients. Stay tuned as the program continues to roll out. 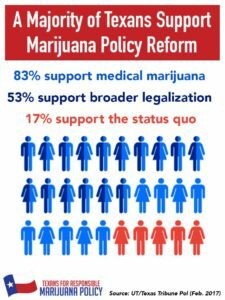 We are focused on a multi-year legislative campaign in Texas to improve state laws related to marijuana. We’re working in concert with like-minded groups to reduce criminal penalties for possession and to establish a comprehensive medical marijuana program that doesn’t leave many seriously ill patients behind. 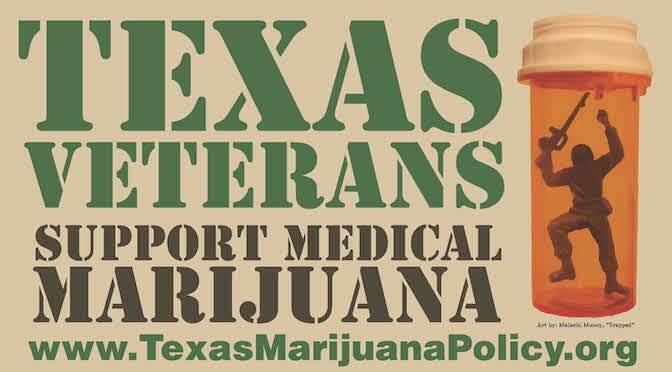 Please click here to get involved with the coalition — Texans for Responsible Marijuana Policy. Please also subscribe to our free email alerts to stay up to date on the status of marijuana policy reform in Texas. If you are a current or former law enforcement official, patient, medical professional, or clergy member, please email us to learn how you can get involved. Find us on Facebook and Twitter to help us spread the word to your network!